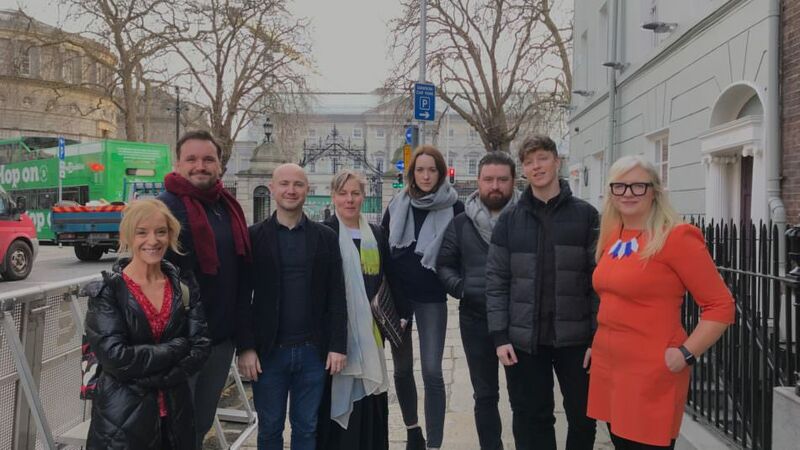 On Tuesday 15 January, we presented our Review of Pay and Conditions in the Performing Arts in 2018 in Leinster House. On Wednesday 23 January we held a meeting in Project Arts Centre to present the full findings. 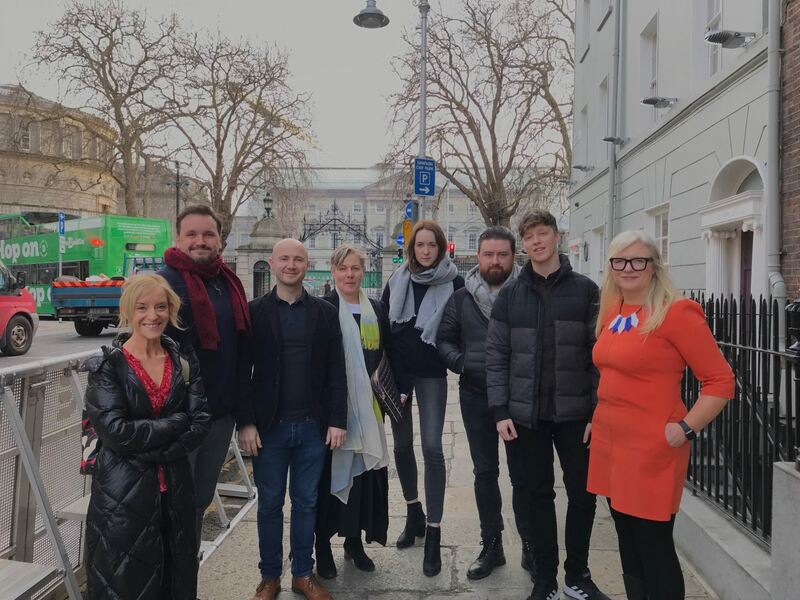 Photo: Louis Lowe, Gary Keegan, Peter Daly, Anna Walsh, Liv O’Donoghue, Peter Power, Shaun Dunne, Irma McLoughlin, pictured on way into Leinster House on Tuesday 15 January.